Industrials visits,I don’t know why , people don’t enjoy these Vists. The Visits are so interesting they give you an insight of an experience, that would only make you feel if you would experience it “Really” and not “virtually” Industrial visits for me have always been About the “HOW” which most of the time turns out to be “WOW” right from the “Cola Cola “factory visit, the “Hercules”Bicycle visit,”Sula” winery visit to the most recent “SkyBags” Bags visit.But,Yet most of us don’t look forward to these visits.All of these visit have only made me learn that we often relate a product to a brand and not the object itself. Example You would be more interested in knowing how a Cadbury is made rather than a regional brand. The experience was also a learning about how the price of a product is strategically priced based on the “Brand Value” one perceive and the the customers are the ones who associate one self with the particular brand. All products are created by a team who we don’t even bother knowing about.But,are concerned about the brand we own or carry.The brands are nothing but the Labels one relates to their personality or role model. 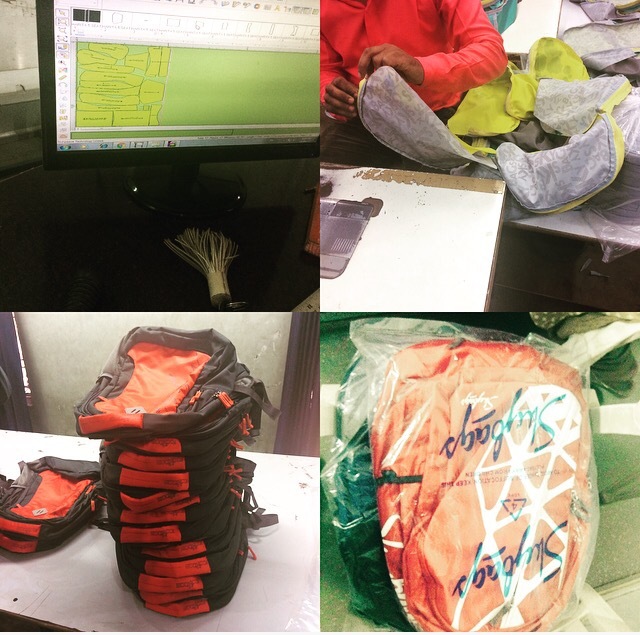 The process of the designing and manufacturing the Backpack, Is also giving employment opportunities to a whole lot who aren’t even recognised for the efforts they have given to produce something that one aspires to own one day.